Dear fellow citizens, I want to make an announcement and inform you about a truly historic event for our Republic. The Roman Republic received its own land. Now our Republic has its own physical expression in the real world. We, the Respublica, are no longer a virtual community, as our envious persons have mistakenly assumed, we have found our own land. All this became possible thanks to the selfless work of the inhabitants of the Province of Sarmatia Magna, and above all this historical achievement we owe to the Plebeian Aedile Marca Marcia, Quaestor Gaius Flavius Iustinus and Consul Titus Flavius Severus. Thanks to this "Triumvirate", to the forces and assets of this group, as well as to the funds allocated for this purpose from the Treasury of the Province of Sarmatia Magna, this epoch-making event became possible. In this case, we directly initiated the implementation of paragraph 13 of the Declaration of the Roman Republic, since the basis for the creation of the physical community is the physical expression of the Republic in the real world - its own land. The plot purchased by us is located on the territory of the Far Eastern Federal District of the Russian Federation. Ironically, this plot is located closer to the US and Canada than to the places of the main concentration of the inhabitants of Sarmatia - European part of Russia. The plot has an area of 1 hectare, it is located in a wooded-flat terrain near the reservoir, the road is located at a relative distance, which excludes the appearance of "uninvited guests", however, it makes it possible to bring construction materials and people to visit there. If someone is interested in the legal background of this issue, then I personally am ready to answer your questions, since I was engaged, including the legal component of the acquisition of this plot. We have the opportunity to purchase additional plots of land near the main site, which makes it possible to create a whole settlement in this place. We have privileges for the acquisition of land there, so that we can acquire a good fertile land, for purposes not related to commercial activities. In addition, an obligatory condition for obtaining benefits is the "cultivation" of land, that is, it should not be neglected. The benefits program will be in effect until the end of 2018, therefore, I suggest that the Senators and Magistrates discuss the prospects for using this land, develop a unified opinion on the further use of this land for the needs of the Roman Republic. In addition, we would like to arrange a competition for the best name for the first section of the Roman land, and possibly in the future and the first Roman settlement. And finally, to say that we wanted to date this news by March 1 - that is, the birthday of the Roman Republic, however, due to bureaucratic delays, we received confirmation of registration only the other day. So this can be considered a belated gift of the Sarmatia Magna to the Roman Republic on the day of its birth. Salve Severus. We did an excellent job. I am glad that I helped the Roman Republic in this. It's team work, and our team is the best, thanks to you Severus and Marca. I want to believe that the Roman Republic wisely and correctly dispose of such a bountiful gift that we did to it. Actually, I did not expect any other reaction, except for what I see now. We are more pleased with the accomplishments of foreign organizations, rather than the successes that are achieved by our own fellow citizens. Land acquisition is a gift of Sarmatia to the Roman Republic and its People. Nevertheless, this is not just a piece of land, it is the prospect that should be developed. We can significantly expand the existing land, creating a comfortable environment for the construction of a real Roman settlement, with cult places, fortification objects. But an extremely ambitious project, and one province of Sarmatia Magna is not able to overpower such a grandiose project. At the same time, it is this project of creating a Roman settlement that can become that very platform that will unite the various provinces around one great goal - the creation of a real Roman settlement. My apologies for overlooking in posting on this thread. After reading it, I spoke to Consul Severus on the matter to get more details. I congratulated him and the Sarmatians on this great achievement and how I look forward to its future development. I will assist how I can in the development of this great endeavor. Once again, good job on this great achievement! As far as I remember, Consul Brutus was proposing some kind of project for interaction between provinces. So I agree with Alba, the project of building a Roman settlement would be an ideal topic for uniting and rallying different provinces for one common purpose. I agree that such a significant project can become the very thing that will unite and rally different provinces and individual citizens for the sake of a common goal. That would be wonderful. But time passes, and as everywhere on Republic level, I observe a sort of public apathy about this. I think that some people think something like: "It's not my concern, let the Sarmatians themselves work, I'll look at what they will get from the side." This is not the right position. Sarmatia is a strong province, but this is not the project that we can draw alone. And I do not see any sense in investing there forces and means if we are left alone with this project. I write this because now there is a small piece of land at the disposal of the Roman Republic, literally a scrap of land, and if the project of the Roman settlement is approved and supported, we will expand this site, adding new plots of land to it. But time goes by and the Roman society does not express any clear position on this issue, meanwhile, someone else can purchase lacquer plots in this area, thus occupying precisely those parts of the land that are needed to form a single piece of land for construction and development Roman settlement. Can you let us know where is this land? The Far Eastern Federal District is huge. Do you have pictures? 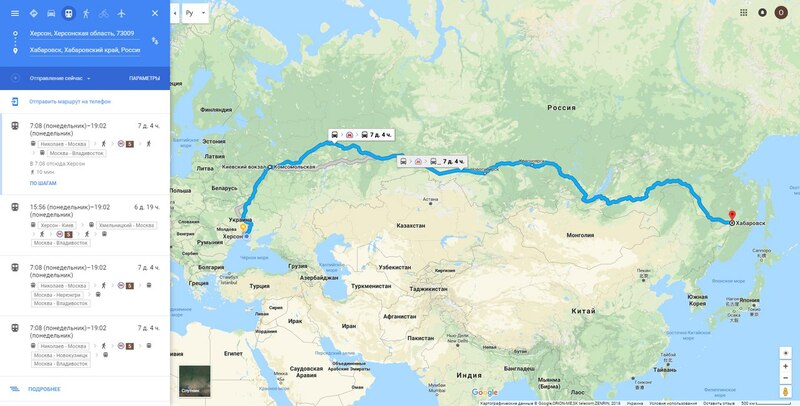 To be more precise, the main section is located in the direction of the South from the city of Khabarovsk on the road number 375, about 40 minutes drive. From myself I will add that Rome and any other plot of the land in Europe, several times farther from America and Canada than this already existing plot. So if citizens from America or Canada think that this site is far away, and therefore to participate in the project does not make sense, then the only way out is to place a site somewhere in America or Canada, but then the question arises about the participation of residents of Europe in this project. And this already existing plot is in the middle between Europe and America, so make your own conclusions, this is a real compromise option. More in detail about it can tell Titus Flavius Severus or Gaius Flavius Justinian. I will say briefly: yes, we mean by the Roman settlement the construction of houses, villas, fortification and religious buildings, yes, people will live there permanently or spend holidays there, it all depends on the people themselves. At the same time, it is important to understand that we are fulfilling the provisions of the Declaration of the Republic of Rome, which is the basis of the whole Republic. Thanks Philippa for all these informations! Now, this project is less abstract to me. In the continuation of the topic, I want to say that we do not stop there! Of course, we are still waiting for the support of the Roman Republic and its individual citizens for the development of this land, and the realization of such an ambitious project. I'm glad to inform you that despite the temporary rest, the Roman Republic continues to grow in the real world. Not so long ago, our public organization, a legal entity, in which the province of the Roman Republic was registered, received a land plot from the municipal authorities. Now, through the province of Sarmatia Magna, the Roman Republic became the largest landowner of all the organizations of the Roman Revival that had ever existed. Soon we officially announce this news. So we all, citizens of the Roman Republic, have an extra reason to be proud of the Roman Republic and the province of Sarmatia Magna.